This little boy is only 8 days old, but has serious opinions on music already. 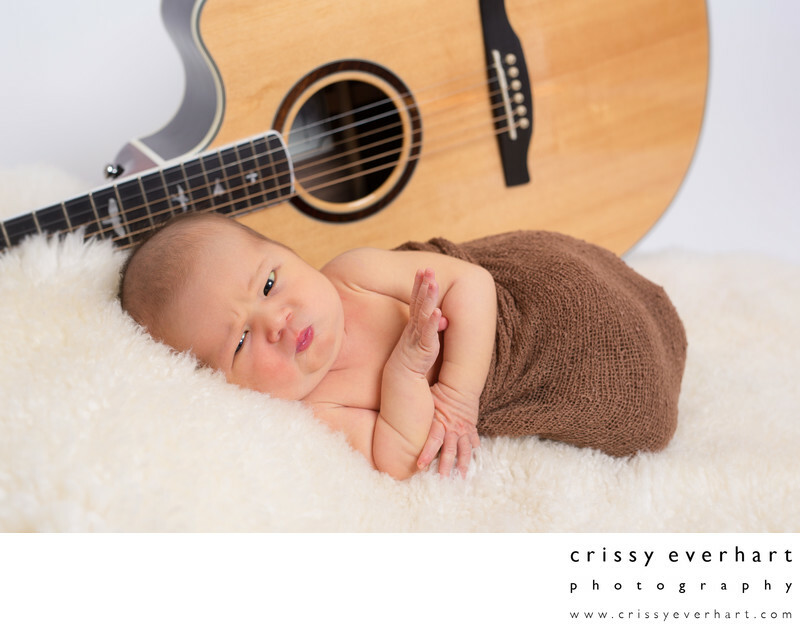 Wrapped in a brown swaddle and laying on a fur in front of his father's guitar, the baby makes a silly face - one of many during his newborn session. The acoustic guitar behind him was featured in his parents' engagement session at Longwood Gardens a few years prior - I was very excited to see Dad carrying the guitar case when he arrived at the studio! Location: 260 Spring Rd. Malvern, Pa 19301.